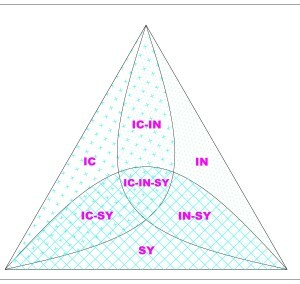 The paper outlines a semiotic approach to the question of synthesis raised by Kantian transcendental schematism regarding the relation between the multiple manifolds and the unity of the concept. In other words, a synthesis between sense and meaning. The general aim is to reflect on the possibility of a quasi-transcendental semiotics, referring to the notion of “gesture” as a synthesis of sensitive experience and logical-semiotic mediation. This essay offers a management scholar’s perspective on the themes of the current crisis, the remedies in terms of monetary and economic politics that are being enacted, and the role of political economics and of economists in the recent experience. The necessarily simplified analysis is done by following a historical route that moves from the liberalist economic thought starting in the seventies. Through the analysis of its evolution in the nineties and in the first decade of the current millennium, the essay proposes an interpretation of the role of the economists in particular and of their relation with politics as well as the need for an overcoming of the current condition. The connection between economy, society, and politics is interpreted within such a perspective in the quest for the relation with Reason.